Maneuver the ball inside this smiley face puzzle game to get to the end. Hidden throughout the maze are dead ends so beware. Smiley face maze puzzles are a fun addition to a classroom or birthday goody bag. 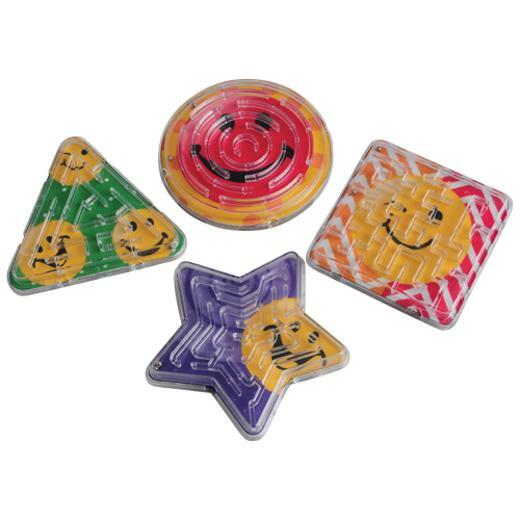 Puzzle games are also a fun giveaway at a church or school carnival. L: 7.05 in. W: 1.0 in. H: 7.75 in.